This recipe and video shows you how to make a nice restaurant style fried rice. I boiled the white rice with a bit of salt and then left it in a pot to cool. I just cooked the rice upto 80% leaving a bit raw. You can always omit some ingredients and mix and match your own. I did not use any egg because nowadays many are allergic to eggs…and i wanted to show that yes fried rice can be made with or without eggg! Marinate the prawns and chicken separately with a little salt, white pepper, soya sauce, ginger juice and brandy for a few minutes. Heat the oil in a large frying pan and sautee the marinated prawns first till just about done (not more than a minute on high heat) and remove aside. In the same pan without adding more oil sautee the tiny cut up chicken till about just done and remove. Then add a bit of oil and add the vegetables and stir fry for a minute and then add the chicken and prawns back to the pan. Mix it all very well and then add it to the boiled rice, season with salt and soya sauce and cook till everything is heated well. Serve hot!! HOW TO MAKE GINGER JUICE: grate some ginger and then squeeze out the juice with your fingers. 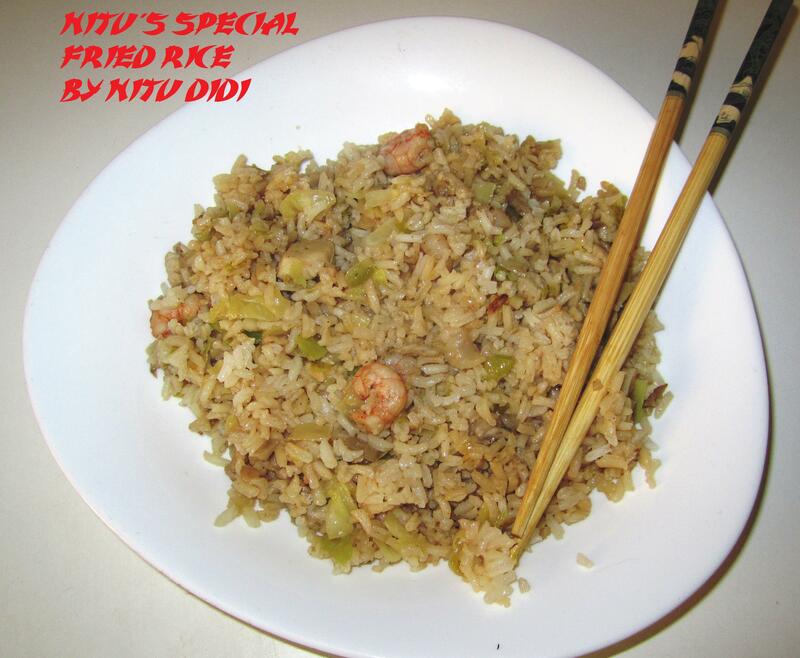 This entry was posted in Chicken, Gluten Free, Made in China, Rice is Nice, Something's Fishy and tagged chicken fried rice, fried rice, mushrooms, prawn fried rice. Bookmark the permalink.